In medieval times young people could be bound to a master lorinery for a number of years to learn the trade of lorinery. Today the children, grandchildren and Godchildren of Liverymen of the Company maybe come Apprentices, not to learn the trade, but to be a junior member of the Company, with a view to their becoming Freemen and Liverymen once they are over the age of 21. Apprentices, male or female, must be unmarried, above the age of fourteen years and below the age of twenty-one years at the time of binding. An Apprentice will be bound for no more than four years, not more than eight years. On the completion of the Apprenticeship the Apprentice has the right to become a Freeman of the Company on the payment of the current fine. Apprentices are the lifeline of our Company. 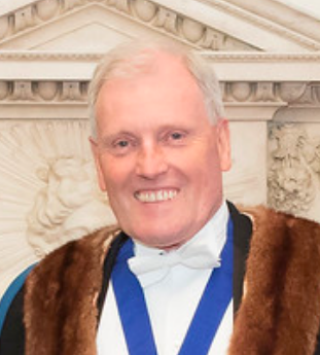 It is hugely important that we present ourselves as an open transparent Livery Company and whilst we are rich in our histories and tradition the Company should also be seen by young people as something that they are proud to be associated with, and like myself should enjoy all functions, both formal or informal. I am a very proud Godmother of three Apprentices, one has already progressed through to become a Liveryman in his own right and his two siblings are snapping at his heels. At times it`s like herding up cats to get them to attend functions on time (or even in the correct dress code) but I know that they wouldn`t attend anything if they didn`t want to so it would appear that I am getting something right as the Master to three Apprentices. I am sure that as they grow older they with appreciate the honour that they have had bestowed on them. They are a huge credit to both their parents and their Godmother. 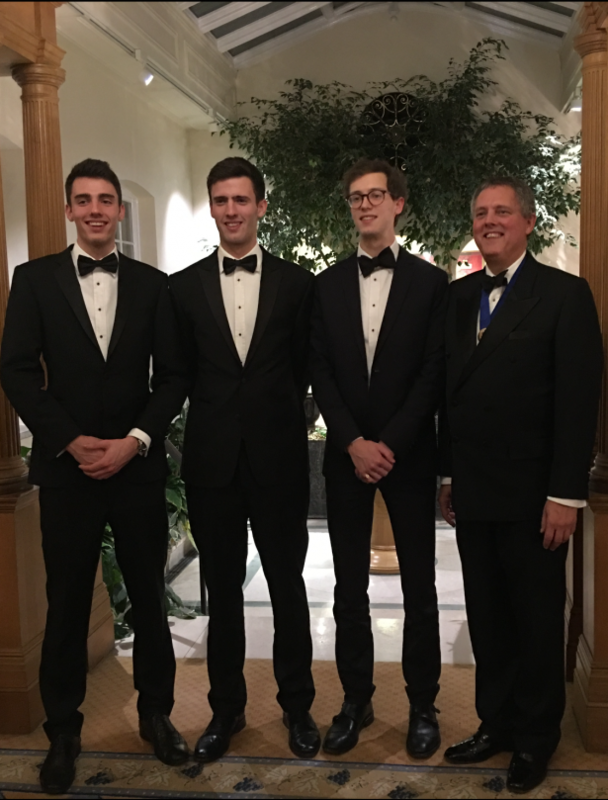 As their Father said when I first asked my eldest Godson if he would like to become my Apprentice and as such become a Liveryman in his own right by his 21st birthday –“what a very special 21st birthday present that will be, and really a present that will last a lifetime”. Who knows, one day I may even (God willing!) attend their Installation Dinners when they become Master Loriner. I enjoy being a Loriner for several reasons. Most importantly to me, it has brought me closer to my Godmother, who sponsored my membership. Moreover, the events are an excuse for an enjoyable and lavish evening, in different stunning venues, with interesting people. Finally, sitting on the Livery Committee has given me insight into: how the organisation is run, an appreciation for the effort behind each event, and the desire for greater involvement from younger members. To become a Freeman of the Loriners’ Company applicants need to be proposed and seconded by two Liverymen of the Company. If you would like to be considered for membership, and you do not know any Loriners, please contact the Clerk who will assist you with this. Candidates will be expected to have attended at least two, and preferably more, Company event before applying for membership of the Company (this can be one formal and one fraternal or equestrian). Candidates will be required to submit a CV with their Application Form. The CV should not be a detailed account of their working career and should show which of the criteria detailed below they satisfy and how. Candidates should be aware that Membership attracts a joining fee and also contribution to the Loriners’ Charitable Trust. Maintains membership of a Ward Club. To have connections with the horse, for example:Trade connections or similar associations;Has a knowledge of the trade of Lorinery;Rides or has ridden, owns or has owned, or whose family rides or owns horses. To have close family connections with the Company. Candidates are interviewed by the Company’s Policy and Interview Committee to ascertain suitability and enthusiasm for membership.. I work in Canary Wharf in the financial services world and much enjoy being part of an organisation which is both charitable and fun. 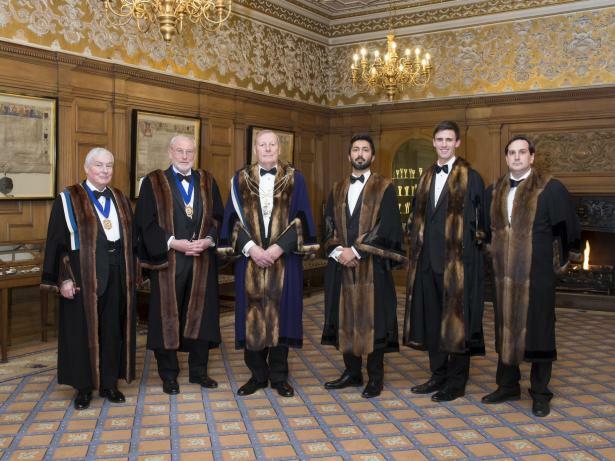 Once admitted to the Freedom of the Company new Members then apply to become Freemenof the City of London (https://www.cityoflondon.gov.uk/about-the-city). Once this has been obtained Freemen may become Liverymen of the Company which givesthem additional privileges within the Company and allows them to possibly progress to theCourt of Assistants and eventually to the role of Master of the Company. I was brought into the Worshipful Company of Loriners when I was 14, by my father, to whom I was bound as an apprentice. During my time as an apprentice, I attended several dinners and events over the years, including the Wormwood Scrubs Pony Centre anniversary party where Her Royal Highness The Princess Royal was in attendance. She asked us what we had been taught about lorinery, and strongly encouraged us to participate fully in the affairs of the company. This was, in particular, a unique and memorable experience and we all felt proud to represent the Company. Since then, I was made a Freeman of the City of London and then went onto become a Liveryman of the Company, and was “enclothed” at the Installation dinner at the start of 2016 at Vintner's Hall. Attending a Livery dinner is a wonderful, if slightly different experience, where Liverymen and guests come together to dine in a formal and social environment, to hear from the Master and the guest speaker and to partake in traditions such as the Loving cup. My two brothers are also Apprentices and will, in due course, become Freemen and then Liverymen. at the end of the four year term, if the Journeyman has not attended any events, he/she will cease to be a Journeyman, likewise if he/she is no longer part of a trade linked to lorinery.